When selecting a theme, what is the first thing you check? Is it the features? The coding? It isn’t. The first thing you check is the look. It must look perfect for you. Here we have selected the 10 Most Beautiful Free WordPress Themes. All of these themes are fully responsive, with a beautiful Design. You can also get more best free WordPress themes. 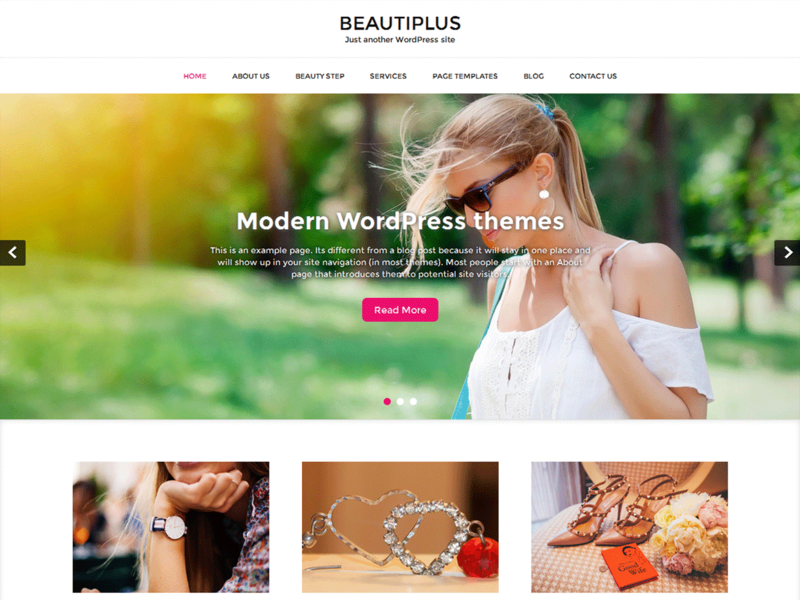 Beautiplus is a Free Modern Beautiful WordPress theme. It is easy to customize and comes with the most powerful features. It is perfect for photography, wedding, fitness, health, gym, yoga, personal, blogging any small business. It is compatible with WooCommerce, Nextgen gallery, Contact Form 7 and many WordPress popular plugins. 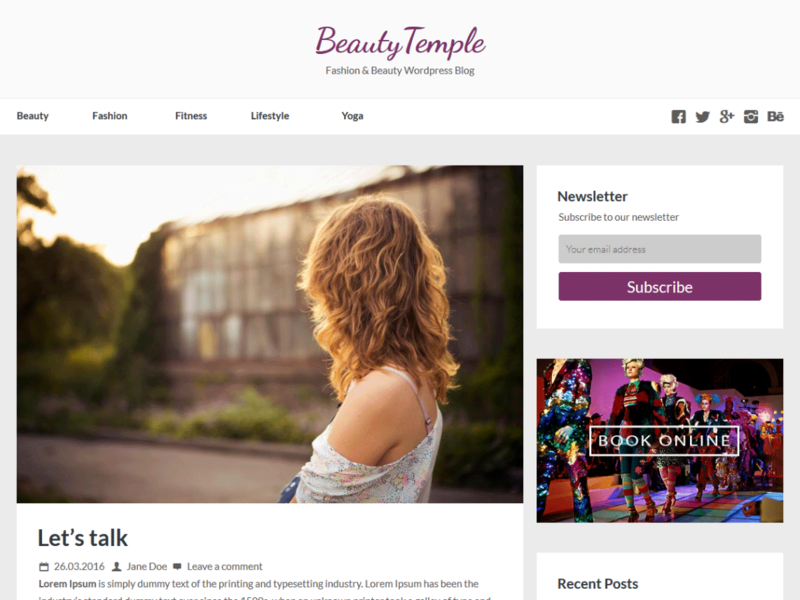 Beautytemplate is a luxury WordPress theme with refined typography and bright colors for fashion, beauty, fitness, yoga and lifestyle blogging. It is one of the most beautiful wordpress themes out there. 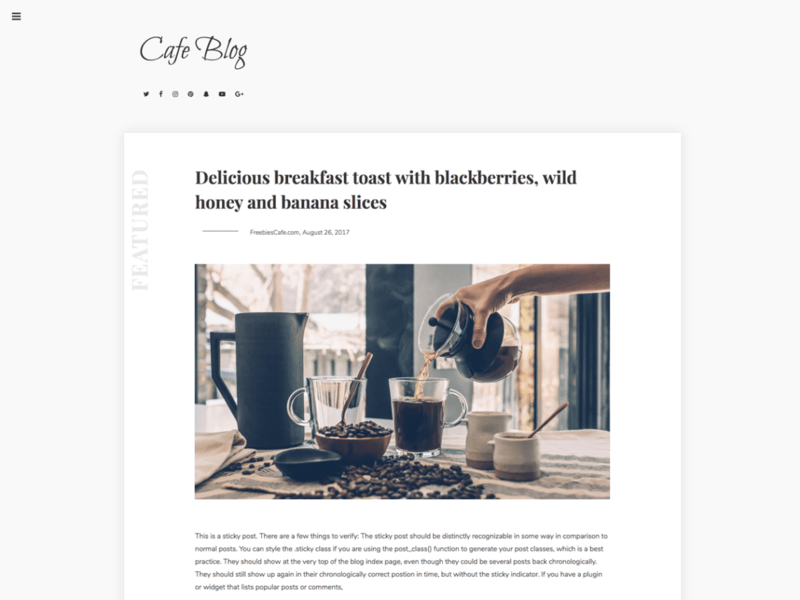 Cafe Blog is a Beautiful minimal full-width theme, perfect for showcasing your blog content. It is fully responsive and beautiful. 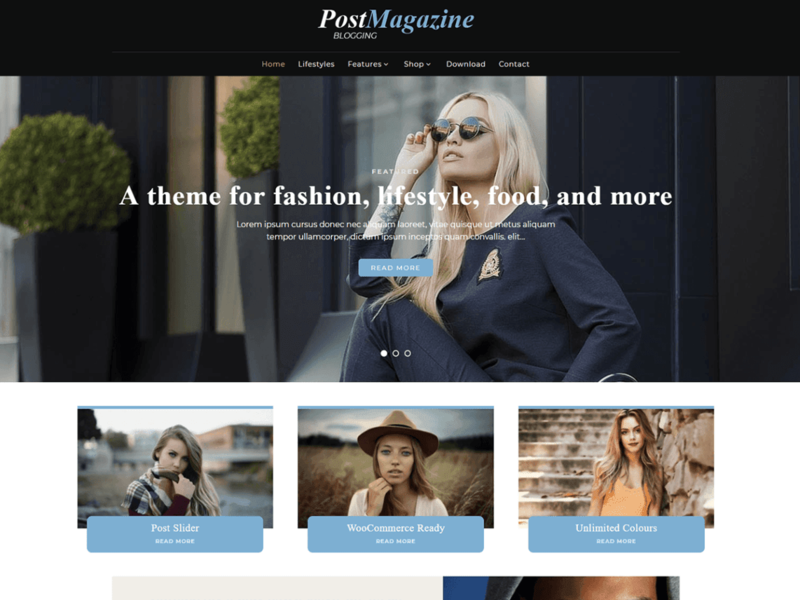 PostMagazine is a fully responsive blog magazine theme that is perfect for creating a lifestyle, health, food, and fashion based sites. It has a beautiful design packed with features from being WooCommerce ready, unlimited colours, having 5 blog styled layouts, a featured post slider, 21 widget positions, and a whole lot more. Be sure to read more About PostMagazine under the Appearance admin menu. 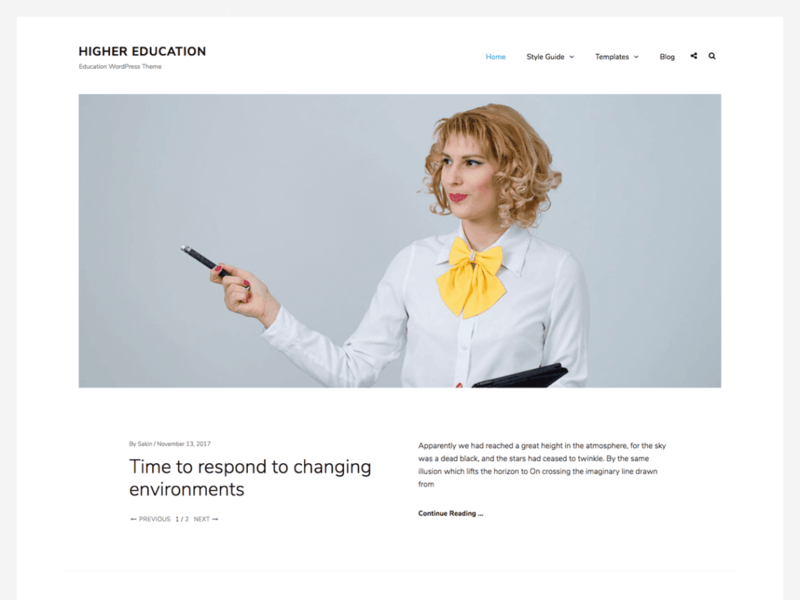 Higher Education is a simple yet beautiful and user-friendly education WordPress theme especially designed for schools and academic institutions. The responsive layout and beautiful design make your website look welcoming. The theme provides your visitors an easy access to any area they like. LZ Restaurant is a multipurpose WordPress theme developed especially for websites that deal with coffee, café, cakes, bakery, cuisine, recipe, fast food, Chinese dishes, and other eatery businesses. 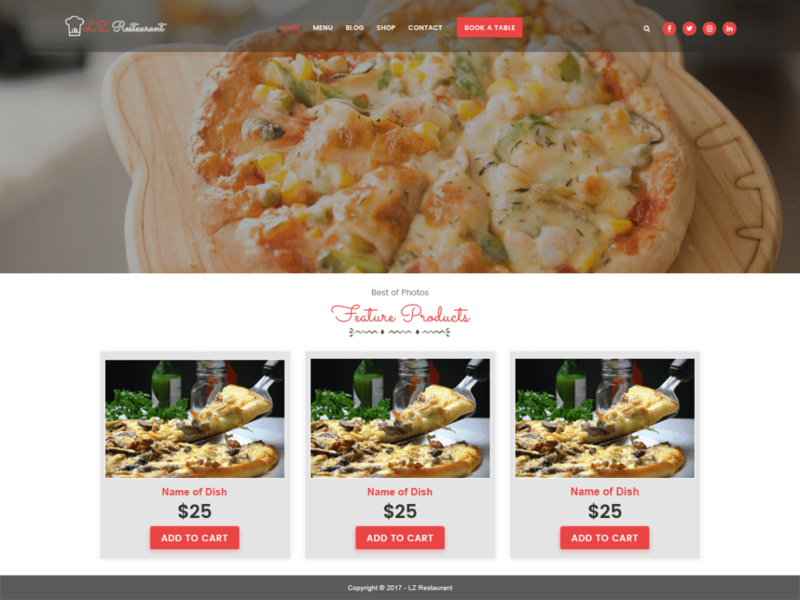 This is a must-have theme for food critics and bloggers to establish beautiful websites for bakery, barbecues, hotel, food joint, Italian restaurants, lodge, and grill houses. The clean and beautiful restaurant theme is purely mobile responsive supporting all screen size devices. The theme is so user-friendly and easily customizable that even if you aren’t a professional developer, you can work on it. 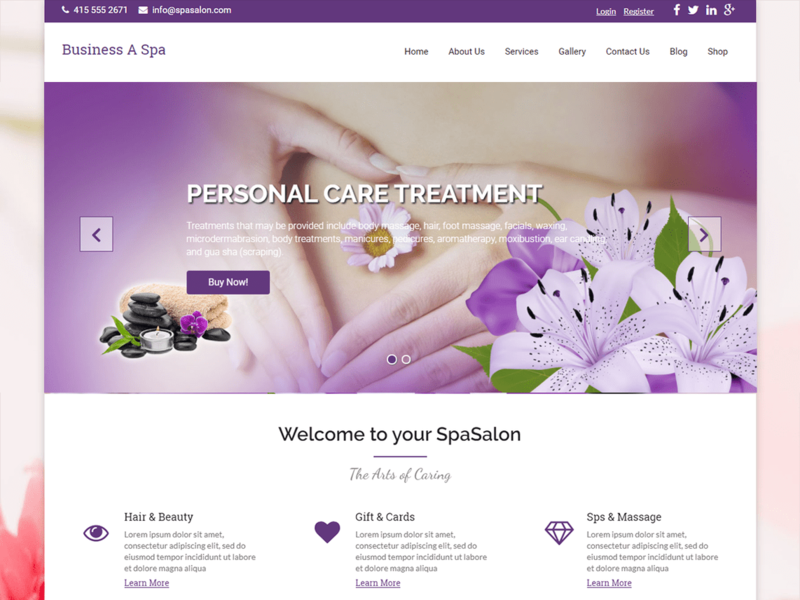 Business A Spa is a Beauty Salon WordPress Theme for hair salons, Yoga, Wellness Center and any other health business purpose. It has a powerful theme customizer panel to brand your website with custom colors, logo, social links, contact info, product and service etc. with ease. Business A Spa is also fully responsive. 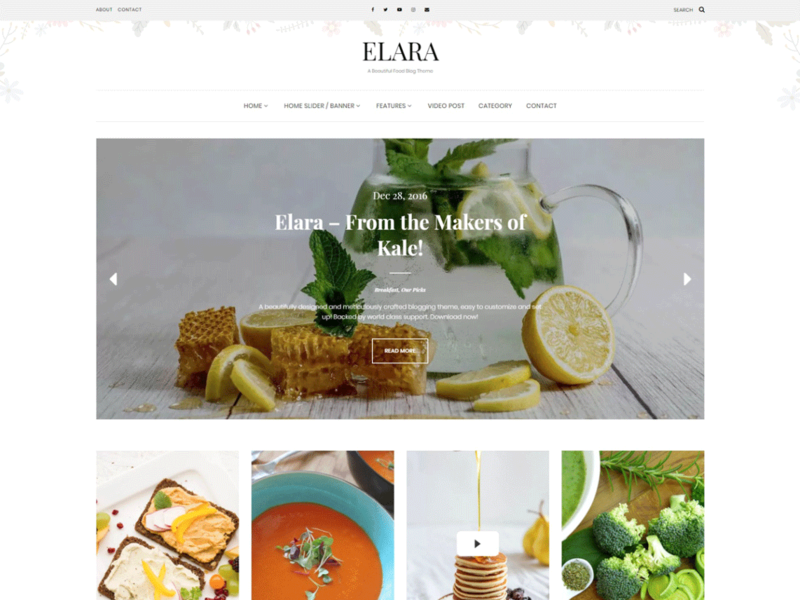 Elara is a beautiful, featured packed blogging theme. It is most suited for food blogs or fashion blogs. Elara has a special front page that features multiple sidebar positions (top or bottom), a banner or a posts slider, featured categories, and a highlight post. You can also optionally hide the banner/slider completely. Elara is backed by world class, one-on-one support, and a super active team of developers and designers ready to help! 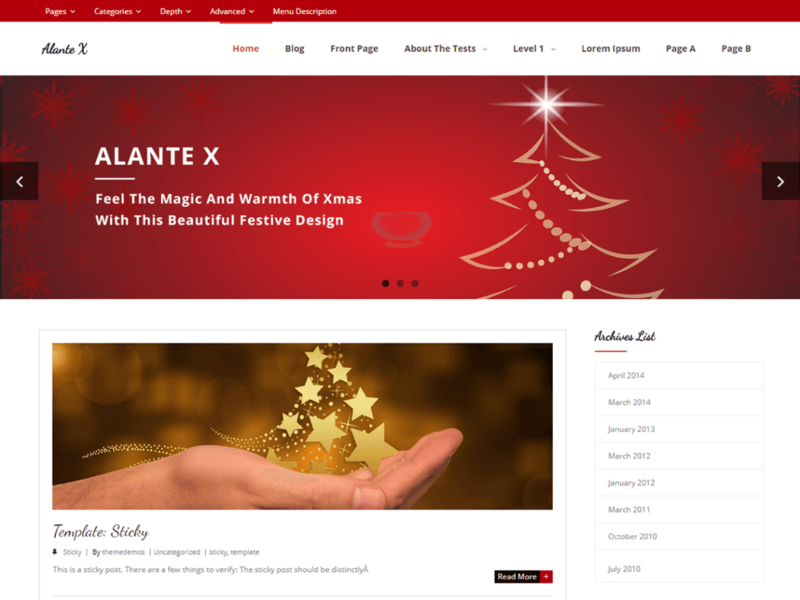 Alante X is a fully responsive, beautiful WordPress Theme. The theme is HD retina ready and comes with a powerful theme options panel with can be used to make awesome changes without touching any code. The theme also comes with a full width easy to use slider. Easily add a logo to your site and create a beautiful homepage using the built-in homepage layout. 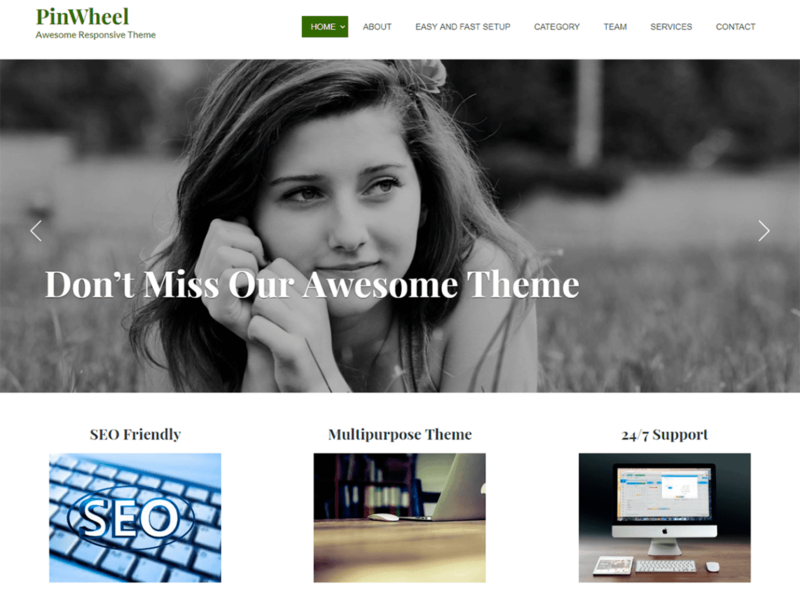 Pinwheel Theme is a simple, clean and beautifully designed responsive WordPress business theme. It is minimal but mostly used features will help you setup your website easily and quickly. Pinwheel Theme is multi-purpose and is suitable for any type of business. It has a high level of compatibility with mostly used WP plugins.